These fun and functional doggie socks protect your dogs paws from mud, snow, ice, hot pavement, hot sand and other extreme weather. Made from 95% cotton & 5% spandex making them comfortable and secure. 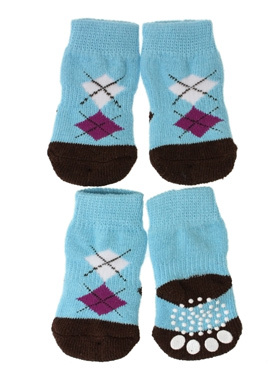 Each sock features a paw shaped anti-slip silica pad & help keep your house sanitary.